Maximino García Catarino, member of the Organization for the Future of the Mixteco People (OFPM), was detained on 21 January in the community of Juquila, municipality Ayutla de Los Libres, by ministerial police of Guerrero. 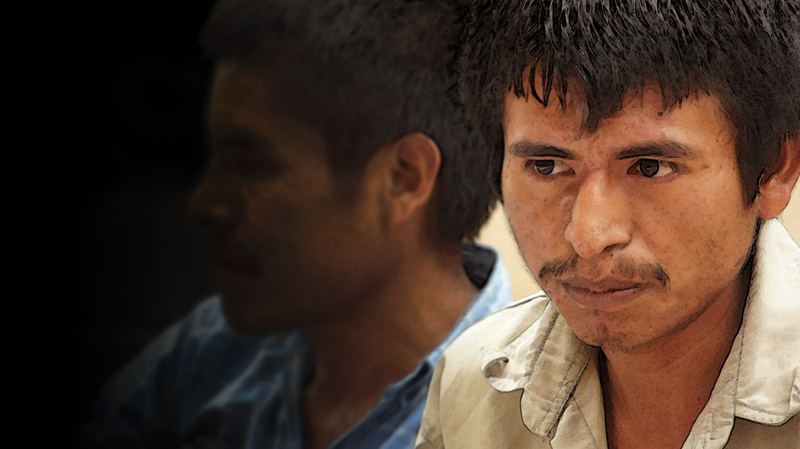 He was placed in the custody of a judge, accused of the homicide of a PRI director in the zone which occurred in February 2011, reports the Tlachinollan Mountain Center for Human Rights. The Inter-American Commission on Human Rights (IACHR) had awarded García Catarino precautionary measures due to its conclusion that he ran grave risk following the detention, disappearance, torture, and murder of Raúl Lucas Lucía and Manuel Ponce Rosas, directors of the OFPM, whose bodies were found on 20 February 2009. Tlachinollan finds the detention of the indigenous man to be “arbitrary,” and it claimed the charge of homicide to be false. The accusation, they said, contains grave irregularitie, and there are obvious contradictions in the testimonies; furthermore, there was deliberate manipulation of the body in question. Amnesty International (AI) expressed its concern for the detention of the activist, given that there are indication of serious irregularities in the case, among them that he was subjected to torture after being arrested. AI stressed that it has documented cases of indigenous activists in Ayutla de Los Libres, Guerrero, who face false criminal charges and have spent several years in prison, due to the fact that they were denied the right to a fair trial, and this case could be similar. Tlachinollan has noted that the detention of Maximino García shows the persistence in Guerrero of the “deviant and illegitimate utilization of the institutions of justice to persecute and criminalize human-rights defenders.” It also indicates that this act occurred in a moment of open deterioration of the human-rights situation in the state. It claims as well that the defense of García Catarino has presented the declarations of three witnesses who assert that the suspect was working communally for his community at the precise hour and date of the murder. A delegation from the United Nations High Commissioner for Human Rights in Mexico visited the Mixteco indigenous man. The objective of the visit was to document the situation in which he finds himself as well as to assess the presumed rights-violations he has suffered following his arrest. On 27 January, upon the termination of the 144-hour limit for detention as established in the Constitution, the penal judge from the Allende juridical district (municipal head of Ayutla de Los Libres) sentenced Maximino García Catarino to further jail time. The Mixteco activist has thus been deprived of his liberty by a penal process that accuses him of a crime that he did not commit. 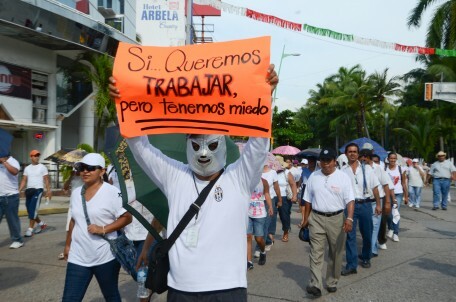 Since 25 August, teachers in the suburban areas of Acapulco have denounced that they have been victims of kidnapping, extortion, and robbery of vehicles, for which reason they have decided to strike in hundreds of schools. They have carried out marches and protests denouncing insecurity and extortion. The number of extortion cases has tripled since 2004. Ángel Aguirre Rivero, governor of the state, assured that it a meeting with the teachers to determine their return to classes is needed, as they cannot continue waiting. He warned that if no agreement was reached, sanctions would be placed on the teachers. In other news, on 25 September between 10:00 and 12:30 at least 20 youth were kidnapped in the municipalities of Cutzamala de Pinzón and Tlalchapa, Tierra Caliente, as confirmed by Aguirre Rivero. He declared that an operation is being carried out in the zone due to the disappearance of these 20 persons. Some of the kidnapped have been released, but the governor has rejected giving more details. Those who have been found responsible for the the mass-kidnapping have been men in trucks who intercepted the victims in distinct actions: as they walked through the streets, rode on motorcycles, or simply were in their homes or workplaces. 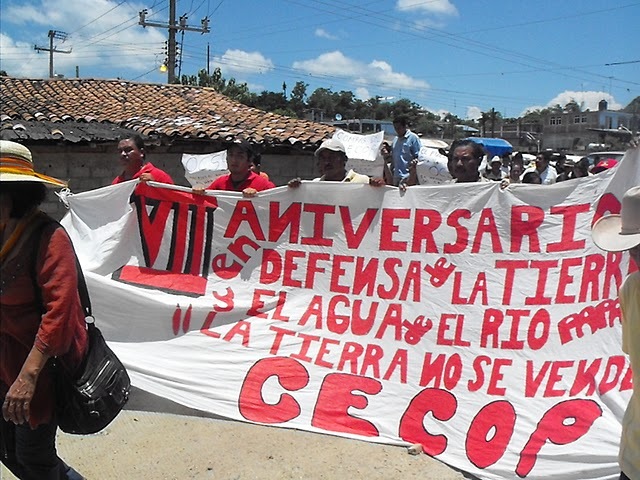 The region of Tierra Caliente is presently suffering much insecurity and violence. The previous week was reported another six kidnappings, all in the municipality of Tlalchapa. On 28 September, a man and woman were executed in the community of La Iguana, municipality Coyuca de Catalán in this same zone. The man was identified with a person kidnapped on 15 September in Altamirano; the woman continues to be unknown. Beyond this, two years after the Bar Association of Lawyers of England and Wales (BHRC) visited Guerrero, the situation of human rights in the state has not improved, in accordance with the report presented by the BHRC on 21 September in Chilpancingo. The authorities continue to harass defenders of individual rights and have not rectified the irregularities in the judicial system, says the report. An example of this is that there has been no punishment for those who in 2009 murdered Raúl Lucas and Manuel Ponce, militants of the Organization for the Future of the Mixteco People (OPFM), nor for the killers of Lorenzo Fernández Ortega, murdered this very year. He was the brother of the indigenous woman Inés Fernández Ortega, who was sexually assaulted by soldiers in 2002; both pertained to the Organization of the Me’phaa Indigenous People (OPIM). Vidulfo Rosales, law coordinator of the Tlachinollan Mountain Center for Human Rights, has lamented that the state government continues to deny justice to victims.